A great deal of our time, money and personal effort go into marketing our expertise and qualities to the public to build a client base. Once we've done a great job for them, repeat business, and referrals will follow. But first, we have to do business with them. Marketing featuring the skills and qualities they value will give us a leg up in this area. can't be lumped into a single bucket. There are different levels of experience and requirements. First-time buyers need a lot more hand-holding. Investors want lots of data. Most want transactional help, lots of interpretation of documents, and help with decisions. In a vacation or resort home market, buyers need even more support. Many vacation home markets are in rural, mountain or seaside areas. These are areas that often have strict environmental, developmental and building codes. 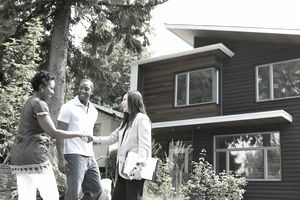 Out-of-area buyers need skilled representation to be sure that they aren't buying something with hidden future problems. If you're in other specialized areas or property types, they will tend to rely more on your expertise and local market knowledge. Even when it comes to condominiums, the condo rules and financial particulars are extremely important. An inexperienced condominium buyer will benefit greatly from an explanation of how condo association fees are assessed and how they can be changed in the future, raising the cost of ownership. The simplistic look at is that they just want to sell their home quickly and at the highest dollar amount possible. It's also true that sellers are less likely to be overly reliant on their agents for help in the process. They want marketing but know that the Internet has changed the game. They are more likely these days to want to negotiate commissions and to go with the lower cost with roughly equal marketing options. This is less true at higher end property prices, but still, a consideration when you're quoting a full-service commission. Unfortunately, recent new online "review and referral" websites are creating some misconceptions on the part of consumers. One such advertisement has sellers happy that "their agent sold their home in two days for more than their asking price." That's a rough quote from a TV ad. Professionals know that in this case the agent either had an easy job in a very hot market, or they underpriced the home listing. We must help consumers to know what we do and value our services. There are others, including people skills and technical skills, but the above are the top items. In our marketing series, we've determined the value of the Internet, so why would technology skills rate low? Many times it's how you ask the question. Note the importance of responsiveness and communication skills. If their entire first weeks of interaction with you was over the Internet and email, then those items would imply a need for some technical knowledge. Whether your marketing features these skill sets or not, it is important to your future ​ to concentrate on doing your very best in these areas. The qualities of a good real estate agent as valued by the consumer vary by their needs. However, overall, we must be market experts and service oriented.